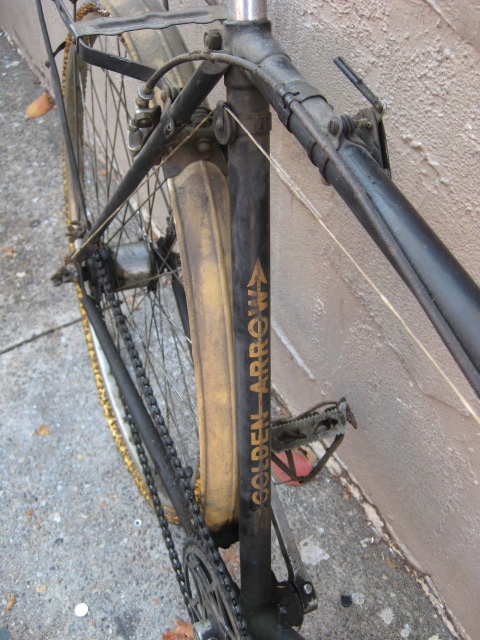 We recently got this 1937 Raleigh Golden Arrow in. 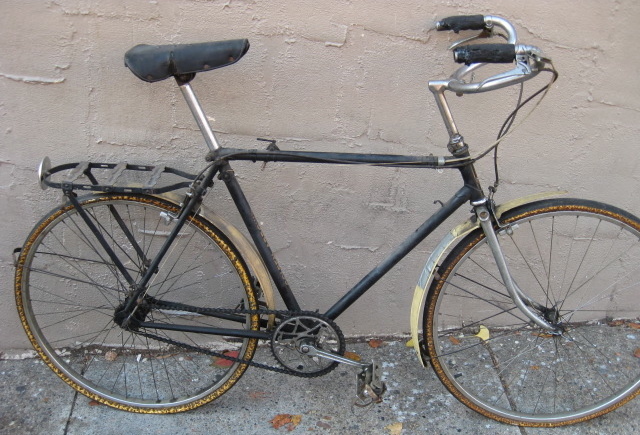 These are the ‘before’ pictures, the way we bought the bike and we will soon restore it to the correct specifications. The bike will clean up beautifully, the paint looks great and the plating really only has surface rust on it. We are confident that we have a nice set of period mudguards to install as well. Might be difficult finding a set of Shock-Stop grips for it though. 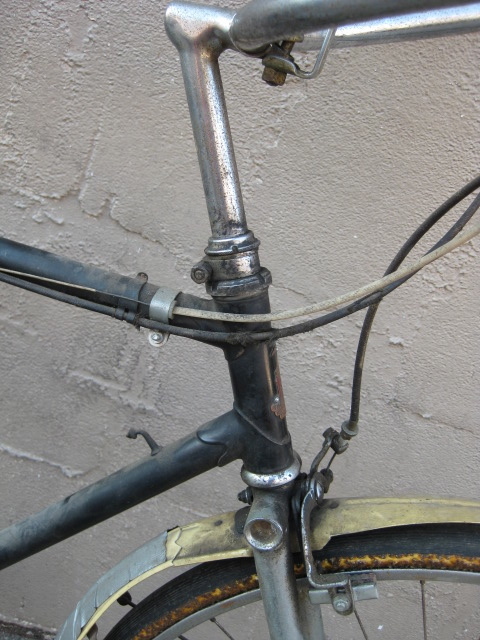 Funny how the kept the original quadrant top tube Sturmey Archer shifter on the bike, even though it had been ‘upgraded’ to normal SA trigger thumb shifter. If I had to guess I would say the bars were turned over not merely for riding with a more upright position, but simply to fit the rider who was too tall for the frame size – a bike like this properly fitted in the 30s or 40s would have less than a fistful of post showing, unlike how it is pictured here with a substantial amount of post showing. 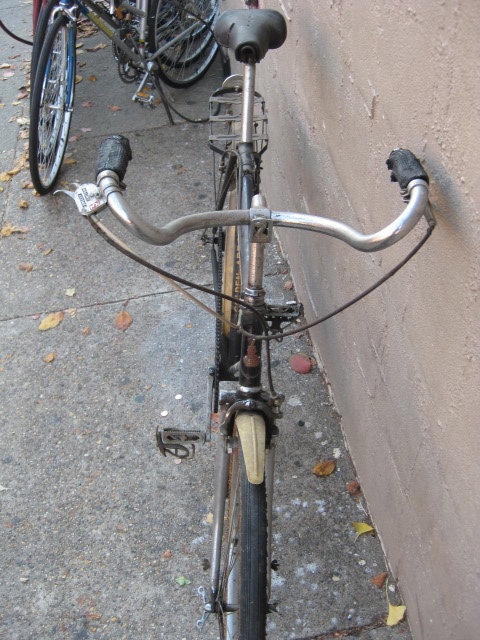 The bars, as installed back in the day, would still have been higher the seat, but not for any reason other than that's how all bikes were set up – bars within 1″ or so of the top of the seat, usually higher. It's still a great way to set up any bike this side of let's say a pursuit track bike. “Correcting” the bars in this picture, I assume means you'll be adjusting the bars (lowering the stem and flipping them back over) and saddle height to fit a rider who is properly sized to this frame. that is a vary valid point, that the frame may have been too small for the rider. 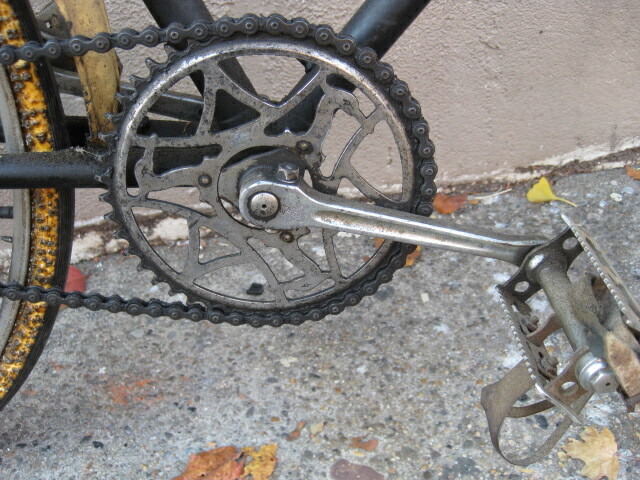 but that is something that was changed in the 1960s possibly, because of the Sturmey Archer trigger is from then. Just a guess, of course, so maybe not the original owner, but someone down the line. Shockstop grips are available from Hilary Stone in the UK!